The US-FDA (Food and Drug Administration) has approved the OraQuick rapid HIV instant test kit by OraSure Technologies as the first rapid HIV home test kit available for OTC (over the counter) purchase in the United States. The approval will enable Americans to purchase the OraQuick rapid HIV instant test and ascertain their HIV infection status in the privacy of their homes, with the OraQuick rapid HIV home test providing results in between 20 and 40 minutes from a saliva mouth swab. AIDS researcher and director of the National Institute of Allergy and Infectious Diseases, Dr. Anthony S. Fauci, said the freer availability of rapid HIV instant test kits for home HIV testing could help bring the 30-year-old epidemic under control. 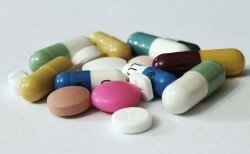 With some 20 percent of the 1.2 million Americans infected with HIV unaware they have the disease, testing and treatment are crucial to prevention, with figures showing those who commence an antiretroviral drug regime are up to 96 percent less likely transmit the virus to someone else. Despite the ready availability of testing in the USA, the US-CDC (Centers for Disease Control and Prevention) estimates about 50,000 people in the USA are infected with the HIV each year. The idea of a rapid home HIV test has been mired in controversy with alarmists predicting a wave of suicides if home HIV test kits were made available and US-CDC officials warning their FDA counterparts that home HIV testing could lead to a surge of new patients that would swamp overburdened health clinics, according to an FDA document. Though tests for other stigmatized diseases such as syphilis were once part of getting a marriage license and home pregnancy kits became available at every corner pharmacy, rapid HIV tests have lived in limbo, usually requiring a counseling session and the signing of a consent form. The first application for a home HIV instant test was submitted to the US-FDA in 1987, while the approval process for the OraQuick rapid HIV instant test commenced in 2005. 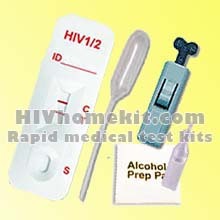 HIV Home Kit rapid home HIV instant test kits. Though the OraQuick rapid HIV instant test kit has been approved for home HIV testing, there are some drawbacks, not the least of which is accuracy when used as a home HIV rapid test by consumers. Research shows that while the OraQuick rapid HIV instant test kit is very accurate when it is used by medical professionals, it is less so when used by consumers. 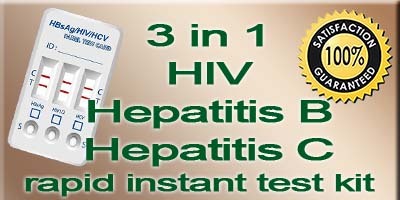 Researchers found that in the hands of home users the OraQuick rapid HIV instant test Specificity was 99.98 percent (the proportion of negatives which are correctly identified), while Sensitivity was 92 percent (the proportion of actual positives which are correctly identified) meaning about one person in 5,000 will get a false negative test, about one person in 12 could get a false positive. (Ed: The HIV Home Kit rapid HIV Home test kit uses whole blood from a finger prick and has a Specificity of 99.97 percent and a Sensitivity of 99.6 percent). 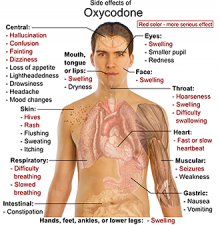 Another concern is the “window period” between the time someone becomes infected with HIV and begins to develop the antibodies to it that test OraQuick rapid HIV instant test detects – up to three months. Dr. Karen Midthun, director of the US-FDAs Center for Biologics Evaluation and Research said the agency does not intend for the OraQuick rapid HIV instant home test to replace medical testing, but instead to provide another way for people to ascertain their HIV status. OraSure’s chief executive Douglas Michels said the OraQuick rapid HIV instant test price has not yet been set, but will be higher than the $US17.50 currently charged to medical professionals because the company will do more complicated packaging for the home HIV kit, open a 24-hour question line, and advertise to high-risk groups, including gay men, blacks and Hispanics, and sexually active adults. While American teenage girls are not legally required to show identification to buy pregnancy tests, the deal struck between OraSure and the US-FDA see’s the OraQuick rapid HIV home test only available to people 17 and older, meaning some of the 30,000 pharmacies, grocery stores and online retailers that are expected to stock the OraQuick rapid HIV home test come October may ask for proof of age before selling the kit. According to Mark Harrington, the executive director of the Treatment Action Group, an AIDS advocacy organization, said the requirement for teenagers or young-looking people to produce identification prior to purchasing the OraQuick rapid HIV instant test might deter some from doing so, defeating the aim of “providing another way for people to ascertain their HIV status”.